After years of blogging with a regular email address ([email protected]), I finally decided that I needed to take my blog seriously and invest in my own professional email address (for example, [email protected]). I honestly thought the process was going to be too complex and that it would be expensive. I.WAS.WRONG. It only costs $5 per month, really easy to do (see below), and you can save 20% per month on your first year. A few years ago, Google offered Gmail with your own custom domain for free but they have since scrapped that program. Only those people who had an account were grandfathered in. However, they only get 15GB of storage similar to a free @gmail.com while new paying accounts get 30GB of storage and a suite of amazing tools. WHY SET UP A PROFESSIONAL EMAIL ADDRESS? A custom email address looks more professional. 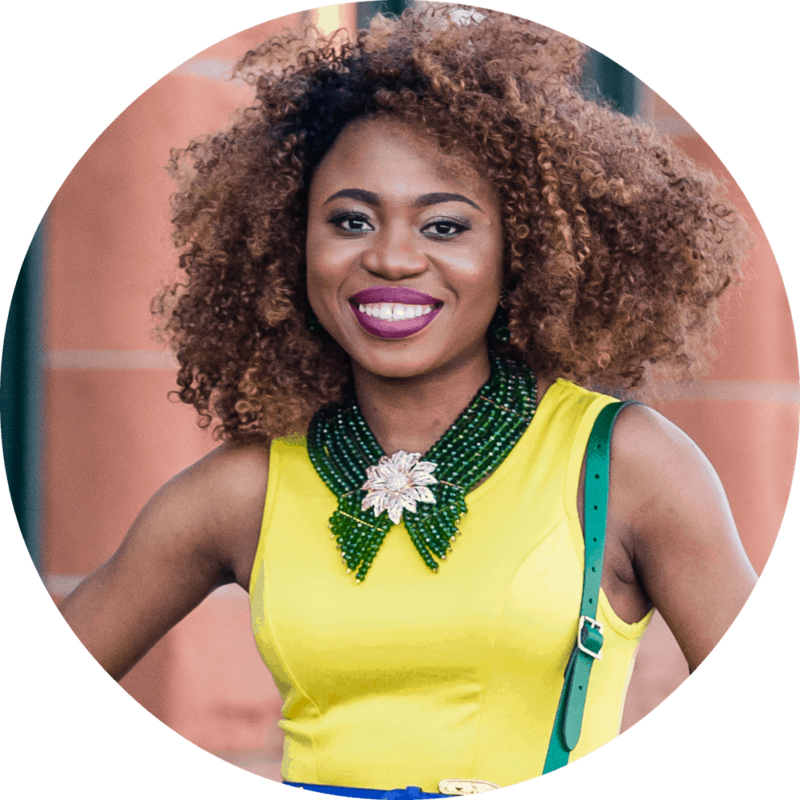 As a blogger, you are likely to be taken more seriously when you are pitching yourself to brands. 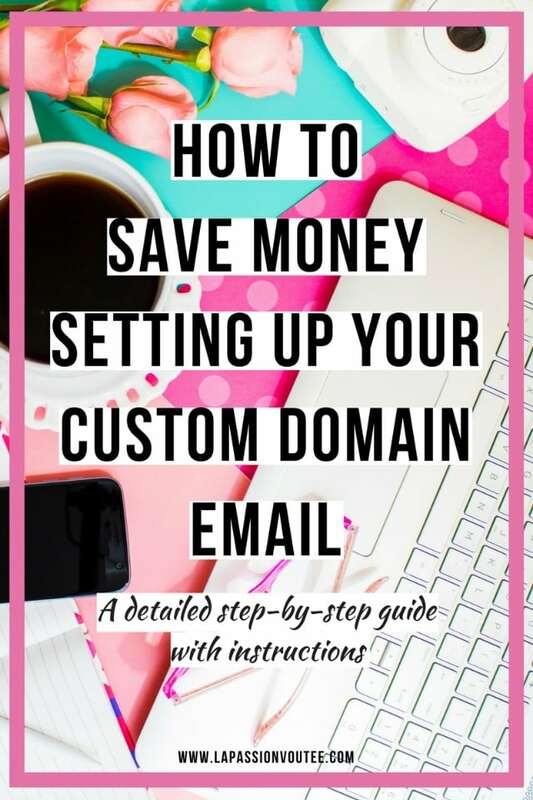 If you believe going self-hosted from a yourblogname.wordpress.com to yourblogname.com as a step up, getting a custom domain email is a step up from a regular email. At the end of the day, you’re trying to promote your blog/brand, not an email service. It is true that most hosting providers allow you to create an email address for free. The problem is that it is less-than-appealing and can sometimes be a headache to use. It makes sense to let email service providers take care of your email because that’s what they are good at. If you let your web host handle your email, you face the fear of losing everything if you move to a different web host. That’s just too much control to give them. You’ve often heard that your email list is where the money’s at. Guess what? 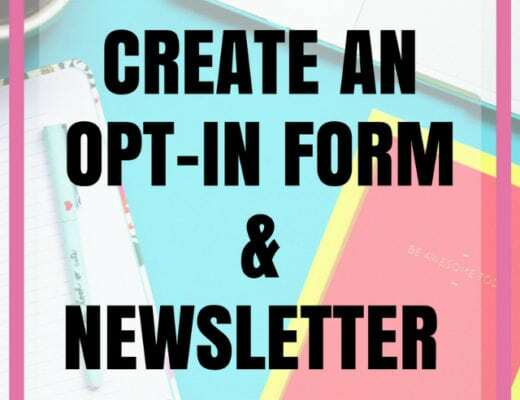 If you plan on building your subscriber list and sending out a newsletter, you’re going to need your professional email address. In an effort to curb spammers, all newsletter platforms like Mailchimp and ConvertKit are now required to have your professional email address ([email protected]) on file. Oh, if you work with a lot of brands and influencer network, they often send out surveys that require you to sign into Gmail in order to access them. With a domain name email from Google, you get the same spectacular interface of Gmail and much more. 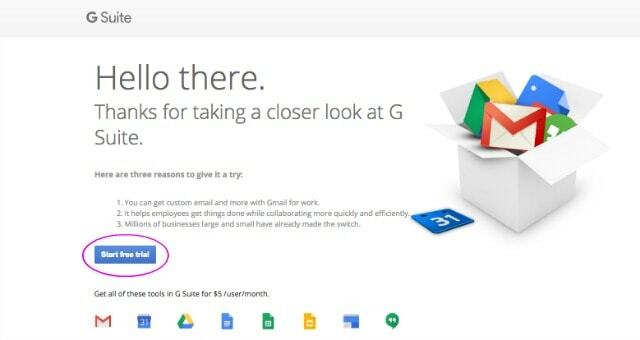 You get G Suite, formerly called Google Apps for Work. No need spending valuable time learning a new platform. Gmail on G Suite is super easy to set up, use and manage, so you can focus on what really matters. 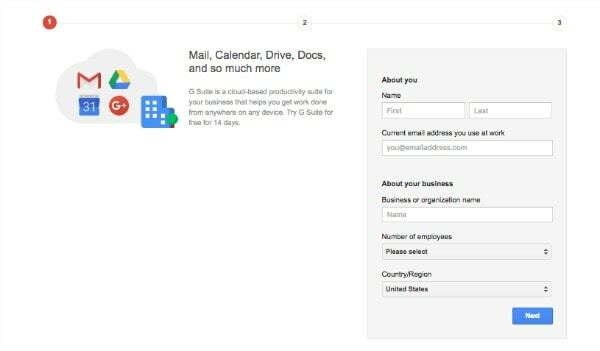 Some other benefits you get from G Suite include file storage, video meetings, file sharing, online calendars, and document editing. At this point, you may already own your domain name for your blog/website. Bluehost, my hosting provider gives you your domain name for free when you buy hosting from them. Next, head over to G Suite right here and click “Start Free Trial”. Enter your information and follow the simple 3-step process to create your account. Now create a username and password for your G Suite account. 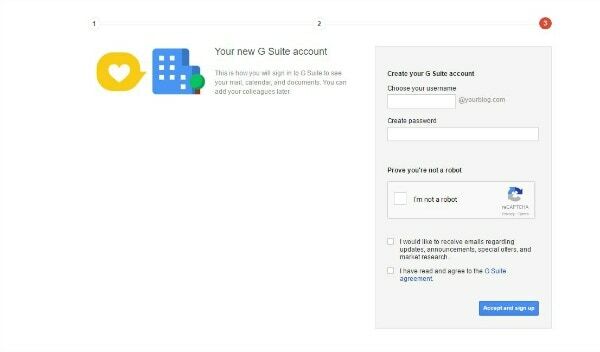 This is the information you will use to sign into G Suite to manage your account. Click “Accept and sign up” if you agree to the terms. You will be taken to the G Suite setup wizard in your Google Admin console where you’ll need to verify that you own your domain name. This is required before you can start using G Suite with your blog domain. The wizard will provide exact instructions depending on your host. If you run into issues or get lost, simply contact G Suite Assist advisors for help. Once verification is complete, you can set up additional user accounts like [email protected] or [email protected] if you want. It costs $5/user/month. I had some issues verifying my domain. What can I say? I’m not very tech-savvy. The support team was super helpful. They did a Google Hangout video call with me on the same day! And mind you, I was still on my free trial so they really could have cared less but they went above and beyond. Enterprise-level management tools – Your data always belongs to you, and it goes with you if you switch solutions. Got questions about how to setup your professional email with Gmail? Leave a comment below or reach out to their Assist advisors. I may not be as good as the Assist advisors but I’m good at hooking you up with 20% off G Suite here. These are all such great reasons to have a custom email domain! 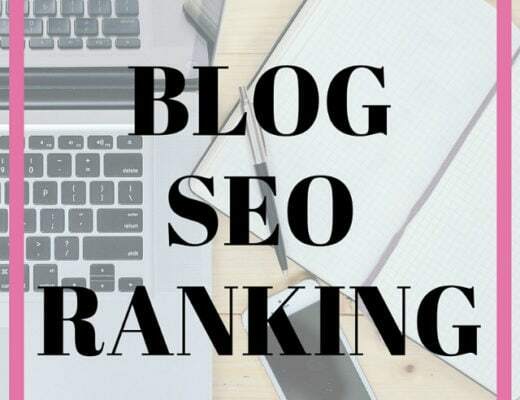 It is one of the very first things I did as a blogger because I wanted to look more professional. 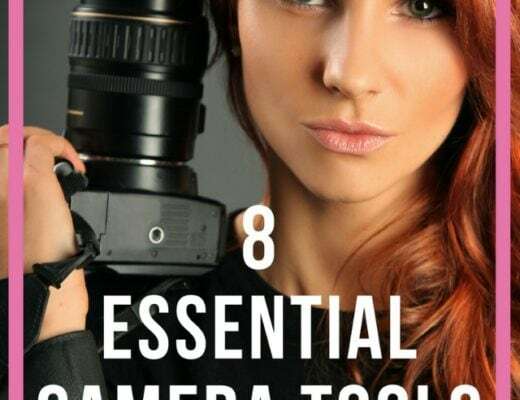 this is great info- super helpful thanks! Such a great how to! Its so helpful! Thanks for sharing this, will definitely be pinning for later! I am in need of a new email, but am worried I’ll have to rebrand everything. Do you know of any way to combine emails? Like, if someone emails my old email address, can it go to the same inbox as my more professional one? Thanks! Hello Mar, you can set up mail forwarding so if someone sends an email to your old account it get’s forwarded to your new account. I am very new to blogging(about 2 months in) and it is overwhelming the amount of information that is on the web about starting up an email account (or the 100 other things that are involved in a website). This was very clear and easy to follow. Thanks for sharing! There are definitely a lot of things to think about when you start blogging. It helps to prioritize what needs to get done first and go from there. Glad this post is easy to follow Michele. Thanks Manav! I’m glad you found it informative.